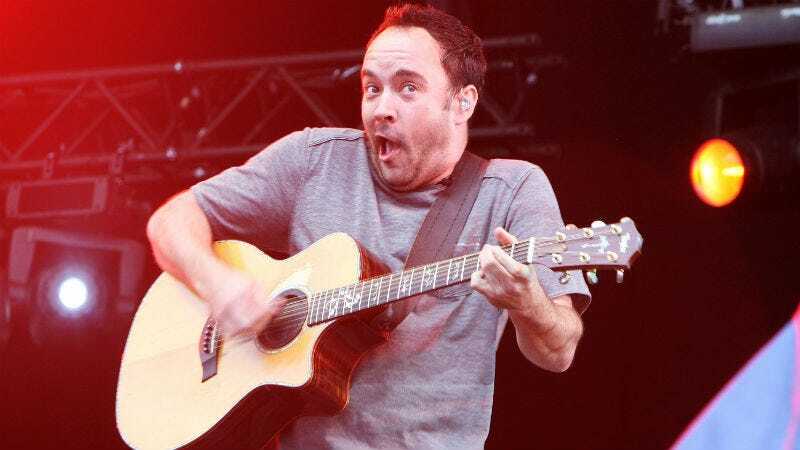 Jam musician Dave Matthews hopes that his acoustic prowess will help bring bank—and chill vibes—to Democrat Dennis Kucinich’s gubernatorial campaign. Matthews will perform an intimate benefit concert for Kucinich on 4/20 (beautiful, perfect), who is pushing for the legalization of cannabis in Ohio. Dave and Dennis first connected at Farm Aid in 2003. Since then, they have collaborated on farmer-friendly initiatives including regenerative agriculture and “carbon farming” as a climate change solution. They travelled together to Standing Rock to support indigenous rights and water protection. Clean water and green energy jobs are a cornerstone of the Kucinich for Ohio Gubernatorial campaign. Matthews claims he has no party affiliation, but he has long been an outspoken lefty. He performed for the Obama campaign in 2008 and 2012, felt the Bern in 2015, and donated to progressive Democrat Tom Perriello’s Virginia gubernatorial campaign in 2017. Kucinich announced his candidacy for governor of Ohio in January. The former congressman, mayor, and 2004 and 2008 presidential hopeful has some competition for next month’s primary, however. Consumer Financial Protection Bureau Director Richard Cordray is considered the establishment favorite among Democrats. Will the DMB bloc prevail or will The Space Between the two candidates Crush Kucinich’s dream of the governorship? What Would You Say if Kucinich actually won?